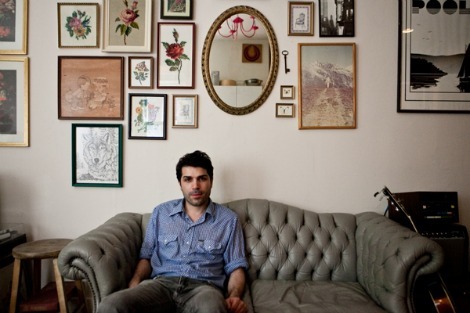 Take a listen to a new song from Toronto based artist Barzin, “All The While” from the upcoming release of his fourth album, To Live Alone In That Long Summer, out February 25th, 2014. When he began work on the album 3 years ago, Barzin originally envisioned a stripped down affair, but has since traveled in a different direction. While still embracing a relatively minimalist aesthetic, songs that alternate between up and down-tempo are replete with arrangements that envelope the listener like the warm glow of fading daylight. The record features some of Toronto’s finest musicians including Sandro Perri (producer), and vocal contributions from Tony Dekker (Great Lake Swimmers), Tamara Lindeman (Weather Station), and Daniela Gesendheit (Snowblink). “I feel I’ve been trying to make this album since I first started making records,” says Barzin. Listen to “All The While“.